…and we are so grateful! Each year about this time we look back on our field day season to evaluate how we did, look for ways to improve and look for the story in the statistics. This year, the story is you. 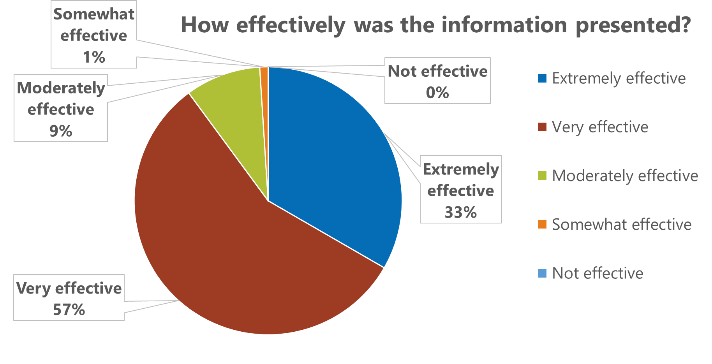 Although our field day guide and email blasts are large contributors to the “How did you hear about this PFI event?”, a growing number of attendees are learning about events via “word of mouth”. That is a statistic we are very proud of and trust our founders would be too. Thank you all for sharing our events with your friends, colleagues, family and neighbors. It is making a difference. In fact, in 2018, 60 percent of our field day attendees were non-members and 49 percent were first-time attendees! That is an amazing opportunity for us to continue to broaden our network. 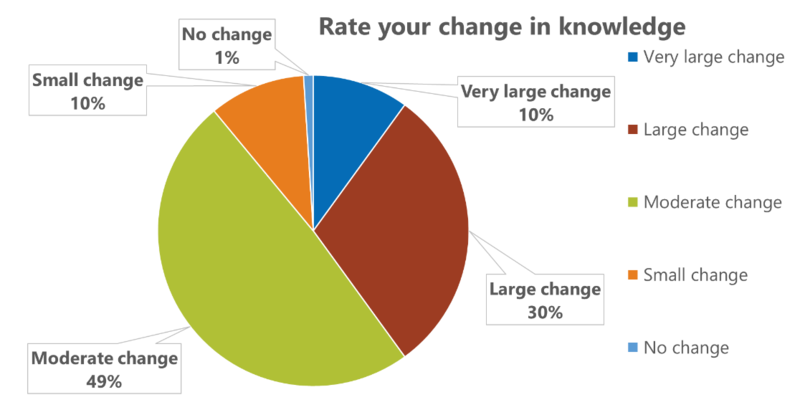 We know from our research into theories of change that people are more likely to change a behavior (i.e. plant cover crops) if they have contact with a trusted source who is engaging in that behavior as well. So keep it up! If you have invited someone to a PFI event, thank you. For those of you who haven’t – will you make a commitment to help spread the word in 2019? Getting people to the field days is only part of this story. What happens when you get there? According to all of you, a lot. Ninety-nine percent of you felt smarter after you left the field day. This impressive change in knowledge begins with our field day hosts. They diligently to create a message that resonates with attendees – giving them the knowledge and resources needed to apply what they learned on their own farms and communities. 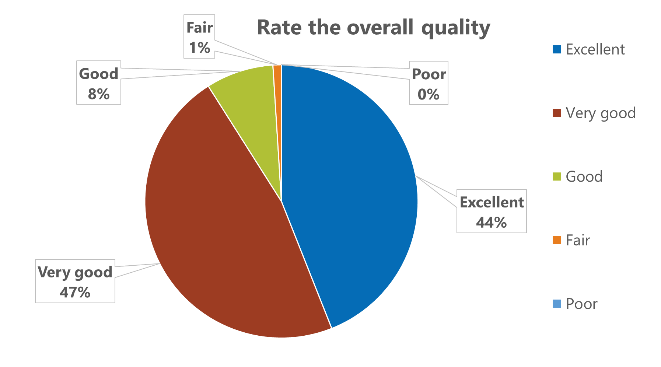 Based on the field day evaluations, their hard work is paying off by providing attendees high quality and impactful events. y part of this story. I recently heard a long-time PFI member use the phrase “permanent momentum”. Each farmer and community member who takes a risk and tries something new is part of the momentum. By sharing your stories, you are creating a growing network — reaching a critical mass of change that will one day be the norm. As always, our program staff listen to PFI member feedback and create a field day season varied in topics and location. We held six spring field days in March and April, 32 field days from May to November, and a half dozen other events sprinkled in between. Another number we are proud of this year – 25. That is the number of new field day hosts that opened up their farms to the PFI community. These new farmer-leaders are critical to our success. Their willingness to share their successes and failures broadens our scope and allows for increased diversification among topics and enterprises. 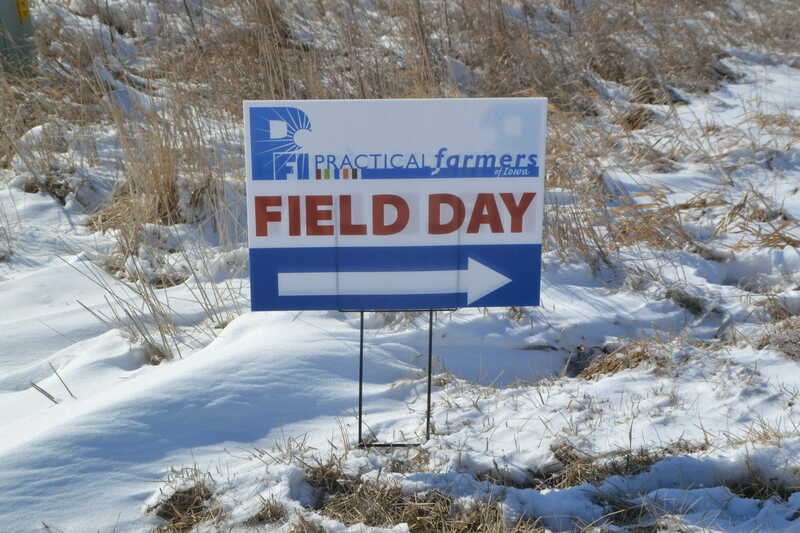 If you are a PFI member and would be willing to host a field day in the future – let’s start a conversation. What is your story? Below are the links to the field day recap blogs for each of the events. Take a look at the recaps of the field days you may have missed in 2018. And… don’t forget to spread the word. Spring field days are schedule to begin in late March. See you all next season!